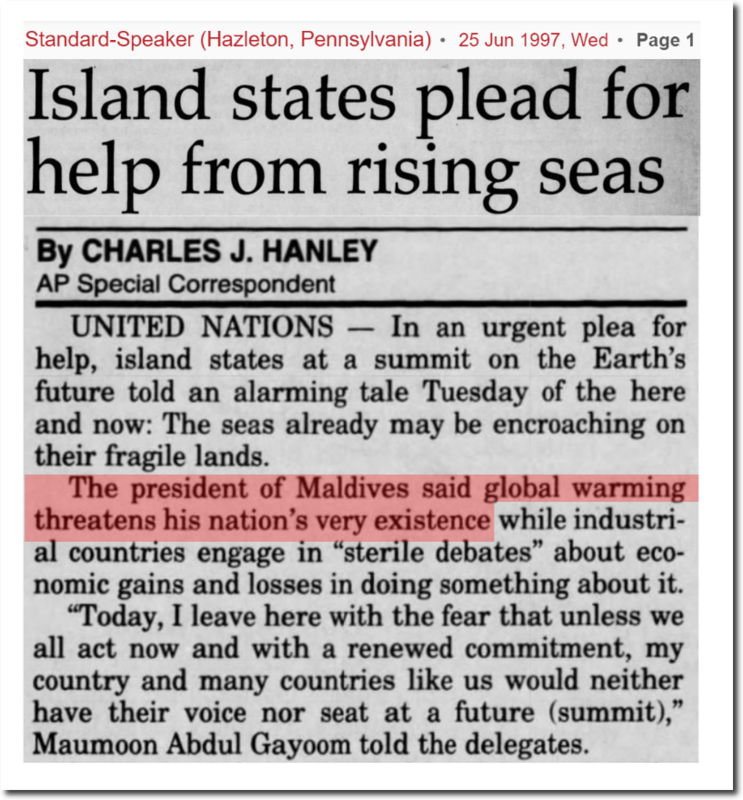 On September 26, 1988 climate experts said all 1,196 Maldives Islands would drown in 30 years. That is only four weeks away. So far, they are batting 0.000 with their forecast. This is what the Maldives looks like this morning. In 1997, the President of the Maldives pleaded for help. He said Island countries were about to disappear under the seas. 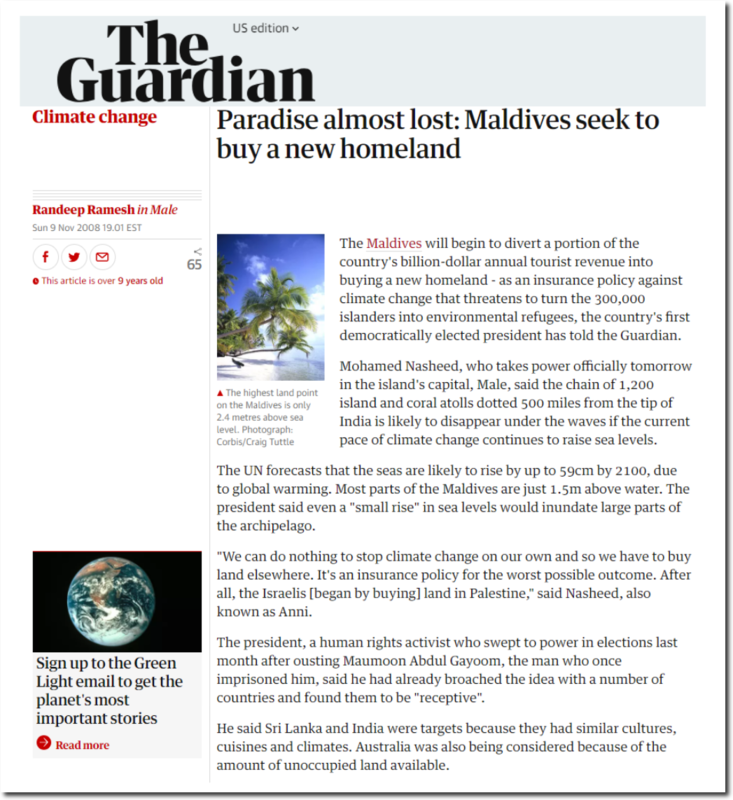 Ten years ago, The Guardian said the Maldives were packing up and moving out. 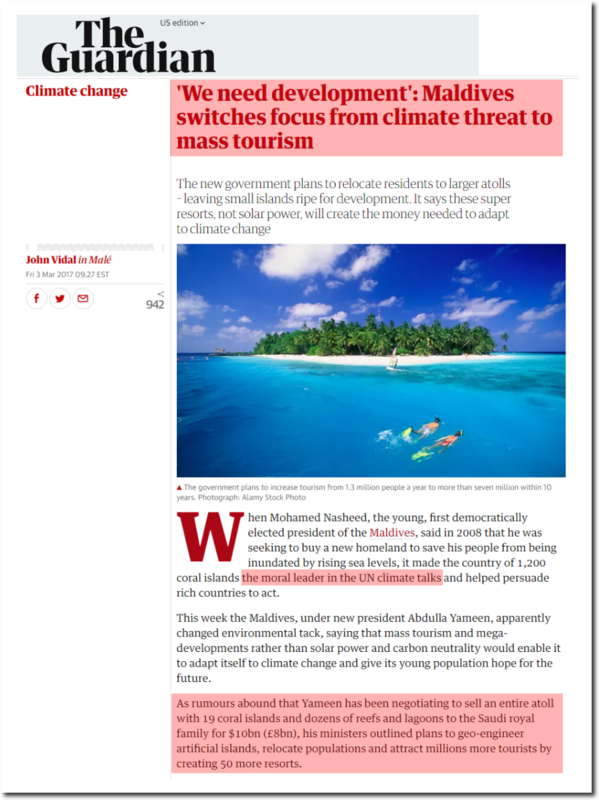 Now the Guardian says the Maldives are the moral leader on climate change, and are adapting by taking in tens of billions of dollars of big oil money to expand their resorts and bring in millions more tourists. It takes moral courage to survive expanding islands. 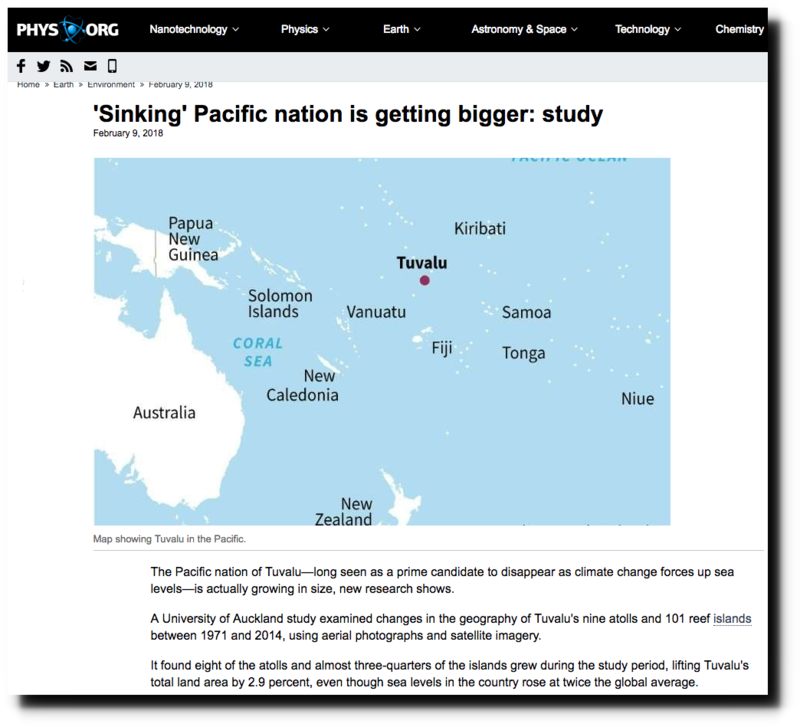 In climate science, islands expand as the disappear under the sea. 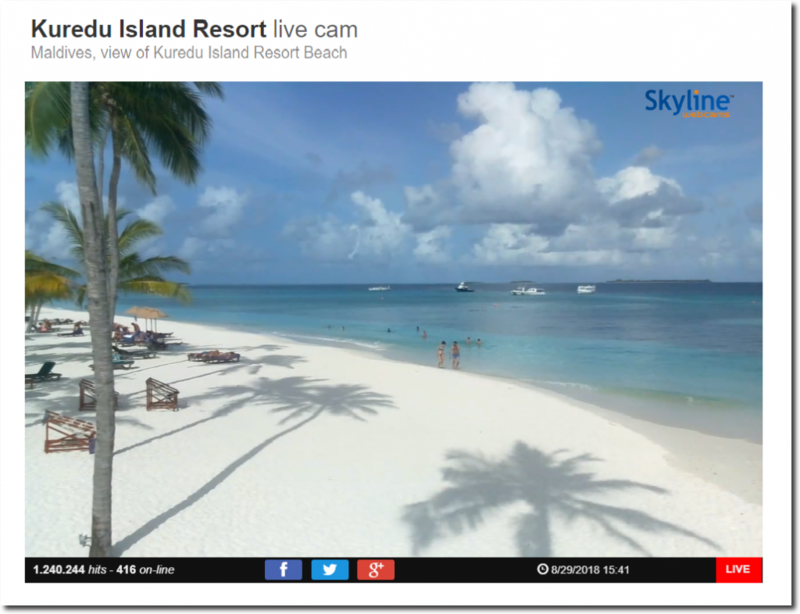 The Guardian says if you don’t believe the Maldives will be gone in four weeks, you are evil and must be silenced. 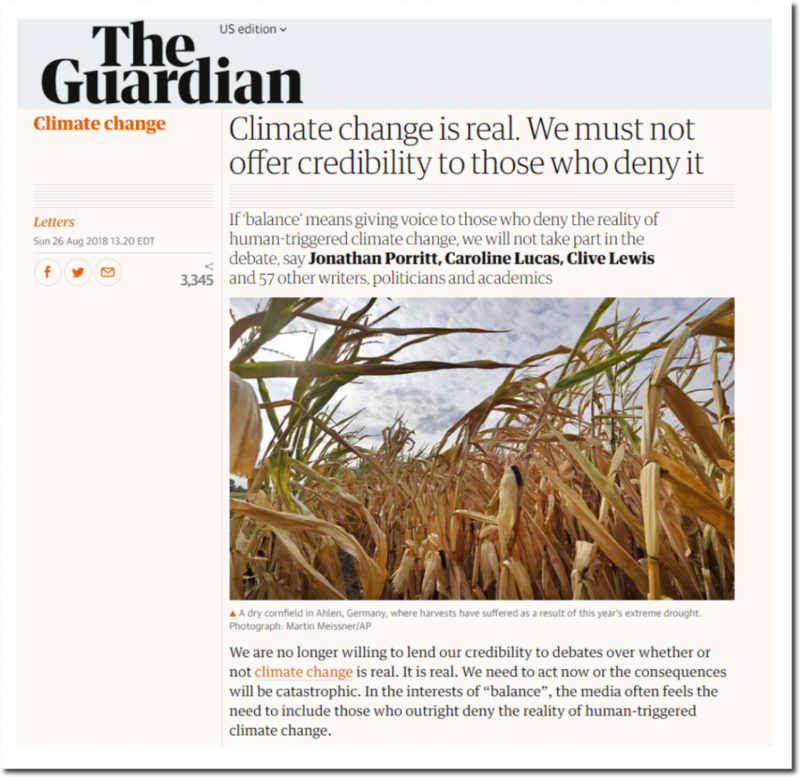 It is unfortunate the Guardian didn’t take their stance on silencing skeptics 180 years ago, when CO2 was 280 PPM and Maldives Islands actually were disappearing. Since the early 70s the Maldives has been stripping the coral for building use in the massively increasing tourist industry so by 1988 the coral was in a dire situation causing havoc on the islands but suited the greenies to extract money from the alarmist industry blaming it on climate change. A ban was put on using coral for building in the early 1990s and today it is doing fine. Just like the missing heat, the missing sea level rise is hiding at the bottom of the oceans, just waiting for its opportunity to spring forth as a tsunami. This makes more sense than admitting that the models are wrong. I have no problem if Griff (et.al) wants to give his own money the the Prime Minister of Tuvalu, but requiring others to do the same is the problem. To a lot of sane minded people, this would be called a “scam”, but I don’t think we should exclude the voluntary participation of individuals; if it makes them feel better psychologically, giving to Tuvalu might actually be cheaper than seeing a psychotherapist. Ms Griff can show that she stopped hating brown people by giving her money to the Prime Minister of Tuvalu to defend the island against the weather. The Grifftard thinks the Guardian is the gold standard of climate reporting. Griff isn’t the brightest crayon in the box. Correction: Ms Griff “believes” the Guardian is the gold standard climate reporting. Ms Griff does not “think”, she parrots anti-science and anti-human propaganda. She emotes. We have absolutely no right to question Big Brother, even though he has been wrong time and time again! In fact when is the last time Big Brother has been right about anything? when something bad is was done. when something does not function. is a term for islands that failed to dive though they were supposed to. 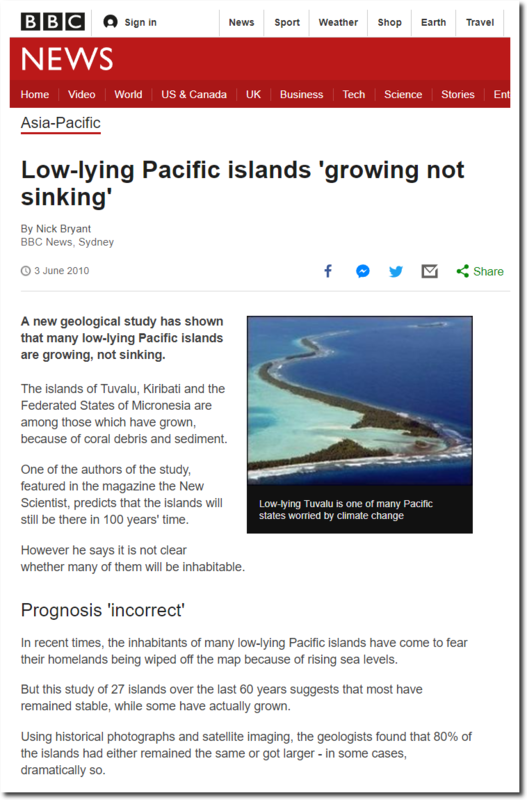 Their inability to drown just make the climate scientists look like blatant liers.